German – born American political scientist, diplomat and recipient of the Nobel Peace Prize. ISP – Inscribed Signed Photograph. Handsome early image from his time in the administration of Richard Nixon. 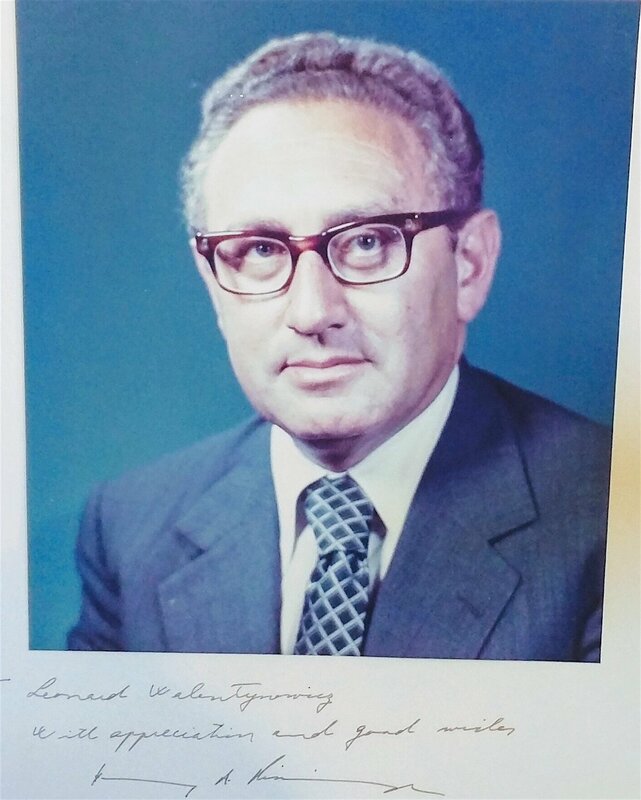 Dedicated to a gentleman who served as assistant secretary of state under Dr. Kissinger. Very good condition.